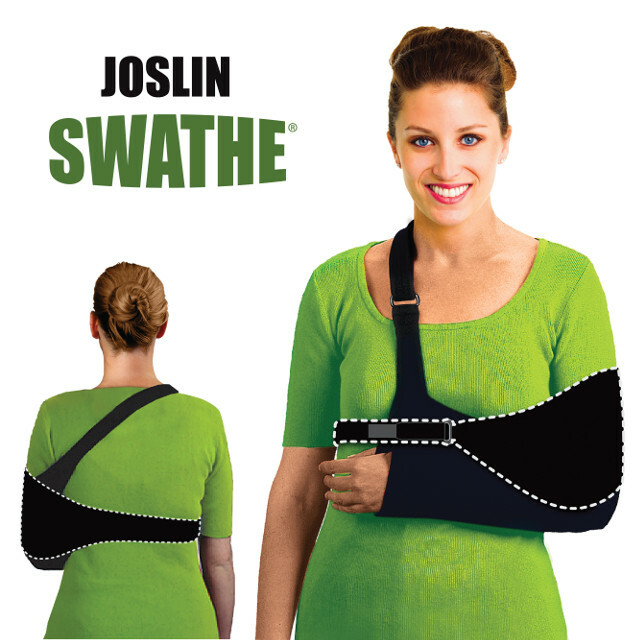 The Joslin Swathe® is an immobilizer strap designed to gently hold the arm against the body. 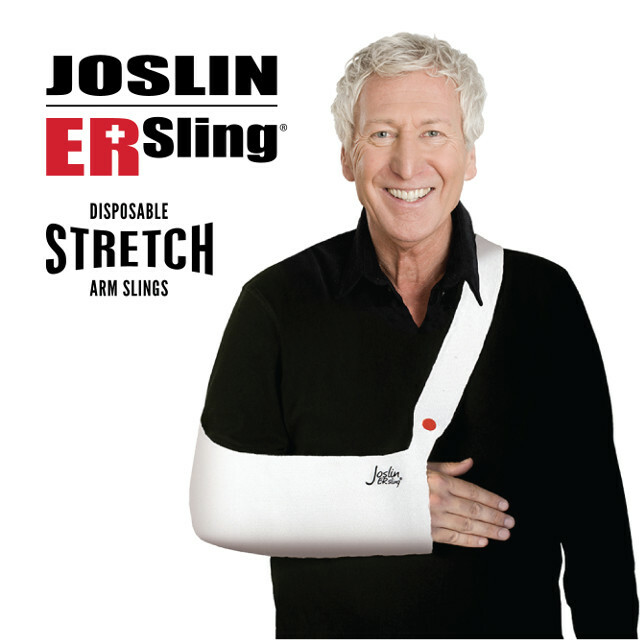 When used with the Ultimate Arm Sling® or any other universal arm sling, the Joslin Swathe® provides a comfortably secure, low impact immobilizing system. The entire swathe is made of lightweight fabric that adheres to Velcro® allowing it to be adjusted and secured to any length. It’s designed to fit both left and right arms. All swathes are latex free and can be machine washed and dried. The Joslin Swathe® is an effective, comfortable immobilizing strap. It is available in black. Designed to be used in addition to the Ultimate Arm Sling® or any other universal arm sling, the immobilizer strap holds the arm down against the body. The arm/shoulder immobilizer strap comfortably wraps around the body and keeps the arm from lifting upward.